William Gregg Orr, the Owner/Operator of the Gregg Orr Companies, grew up just north of Shreveport in Texarkana, Texas. He and his wife Pam have been married for 35 years. They have two children, Ashley and Thomas, along with 6 grandchildren. He began his career in the auto industry as a young man during his Junior High and High School years. After school and on weekends he worked at Orr Chevrolet in Texarkana, Texas. Over the years William Gregg Orr has grown his auto family which now encompasses a group of automotive dealerships and marinas across four states: Texas, Arkansas, Louisiana, and Florida. Orr INFINITI is proud to be your Shreveport INFINITI dealership of choice! You can find our new and pre-owned dealership on 8727 Business Park Drive. At Orr INFINITI it’s our goal to exceed your expectations from test drive to delivery and beyond. Please feel free to browse our extensive inventory of new and pre-owned cars, trucks and SUVs. In addition to our friendly and knowledgeable sales staff, we also provide financing, service, and parts. 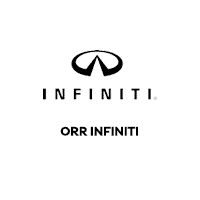 Visit Orr INFINITI in Shreveport today or contact us at 318-797-0700 to schedule a test drive.